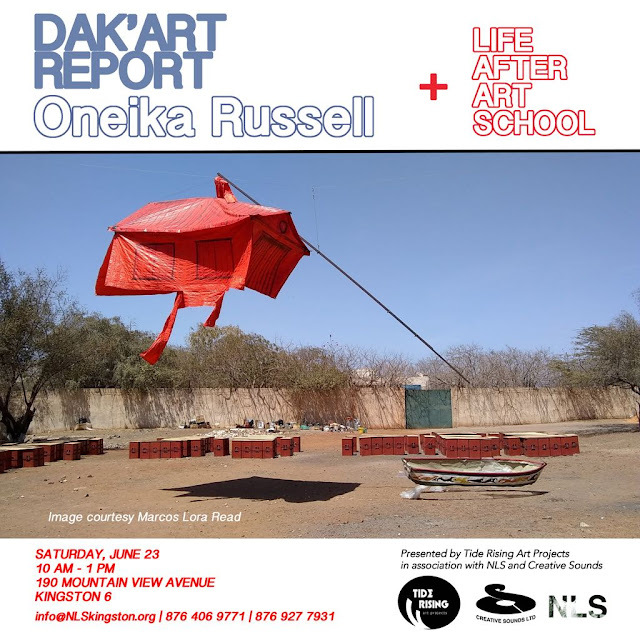 Life After Art School is a casual presentation and discussion of options and strategies for approaching an art career and art practice as a new artist. While this event was created to help provide new art graduates go forward in the art field by providing information all interested persons are welcome. We will be discussing topics such as higher education, building a network, portfolio sharing tools, studio practice, representation etc. Please RSVP for this event on our Facebook event here. Dak'Art Report is a slideshow presentation of observations and highlights of the scope of the 13th Dakar Biennale which opened on May 8th 2018 by Biennale participant, Oneika Russell. It will provide a look at Contemporary African and African diaspora Art as well as a survey of the strategies used by the Bienniale body to activate the city.